New iPhones. That’s the traditional thing the tech world is buzzing about this time of year. So here we are, September 2018 and Apple hasn’t missed a beat in introducing the new iPhones at Apple’s new campus at the Steve Jobs Theater. Apple is proud of their new campus and particularly proud of the theater dedicated to the late CEO. That all being said, let’s get on with the new iPhones! 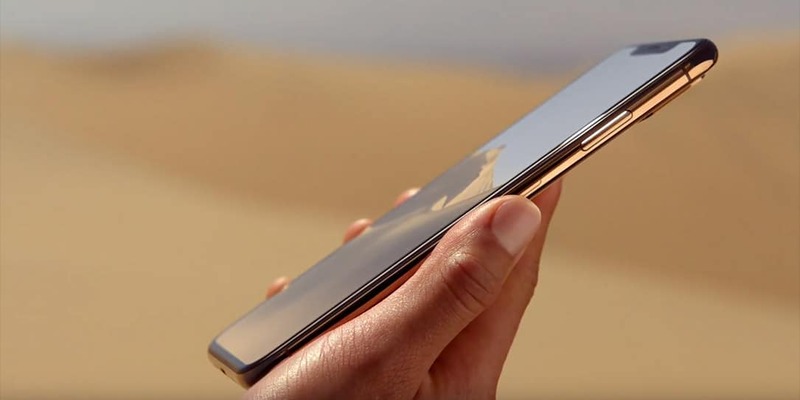 First up is the new iPhone XS which comes in two different OLED edge-to-edge “Super Retina” display sizes. The 5.8″ and the new 6.5″ display. The 5.8″ has a resolution of 2436 x 1125 with 458ppi and the 6.5″ has a resolution of 2688 x 1242 with 458ppi. 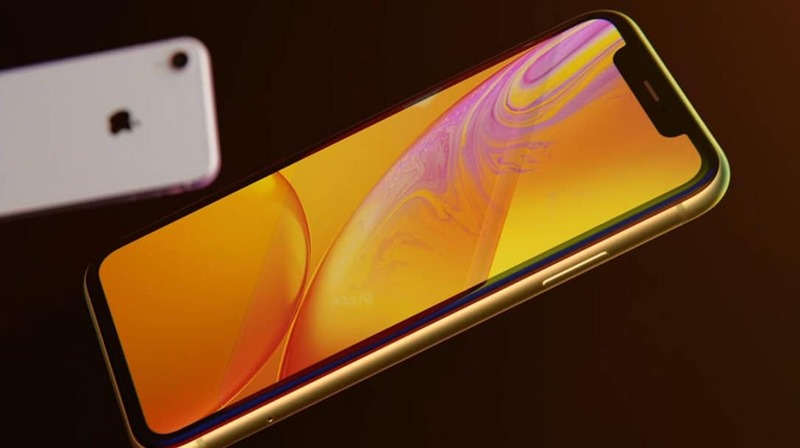 The larger 6.5″ will go by the name of iPhone XS Max. The speakers are also upgraded with better stereo sound. The company also made mention that the phones are made from surgical grade stainless steel. Apple also touched on Face ID, touting some huge improvements that are designed to keep users data more secure than ever. The new iPhone has a new A-Series chip called, the A12 Bionic which is the first 7-nanometer chip in a smartphone. The chip has 6.9 billion transistors, is an Apple-designed 6-Core CPU, and is much faster than the previous iPhone chipset. Of course, Apple designs both the CPU and GPU on its iPhones. The GPU has 4-Core’s and is also faster than the previous generation. Apple also touted their “Neural Engine” which can process 5 trillion operations per second. This technology integrated the CPU and GPU with it to accomplish these feats. Of course, we’ll have to test all of this in the real world as lab testing is totally something different. 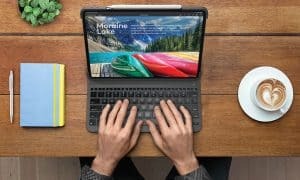 Apple says the A12 Bionic makes everyday tasks easier and apps launch much faster. Apple also announced Siri Shortcuts which are routines you can program if you happen to have those. It’s an interesting feature if you’re a Siri user. 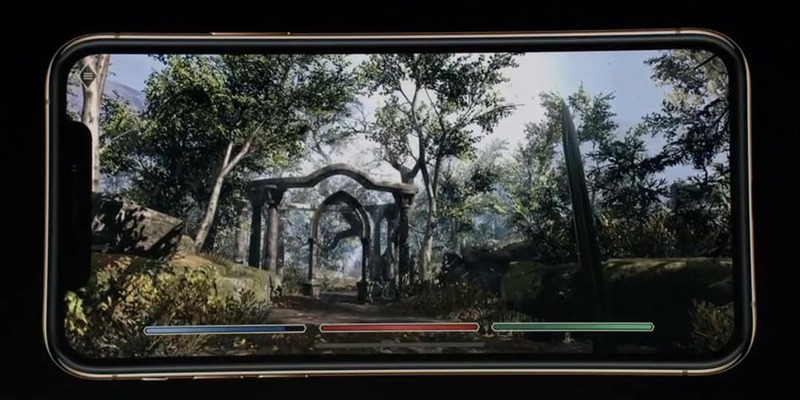 Apple also pushed gaming on the new iPhones. With the new A12 Bionic, new GPU, and Neural Engine Apple says this phone is perfect for mobile gaming. One of the featured gaming experiences was Elder Scrolls. 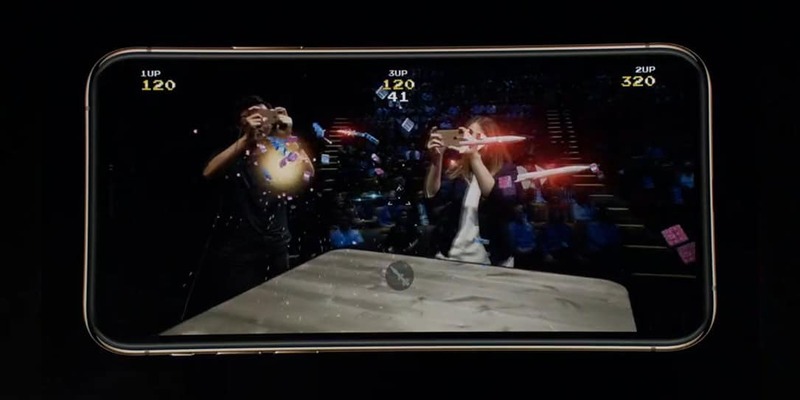 Apple also featured new AR gaming like Galaga AR, which honestly, looks badass. Apple also pushed the superiority of their cameras, as expected. Apple does stand with the top smartphones in camera excellence. It’s very comparable to other phones like the Note9 or Pixel 2 XL. Apple says the iPhone is the “world’s most popular camera.” That could be debated I suppose but iPhone cameras are some of the best on the market. Both cameras on the back are 12MP, one wide and one telephoto and both with OIS. The front camera houses a new sensor that is 7MP and can create depth in portrait mode. Apple says the image signal processor and its neural engine work together to create better photos. Apple also covered battery life. 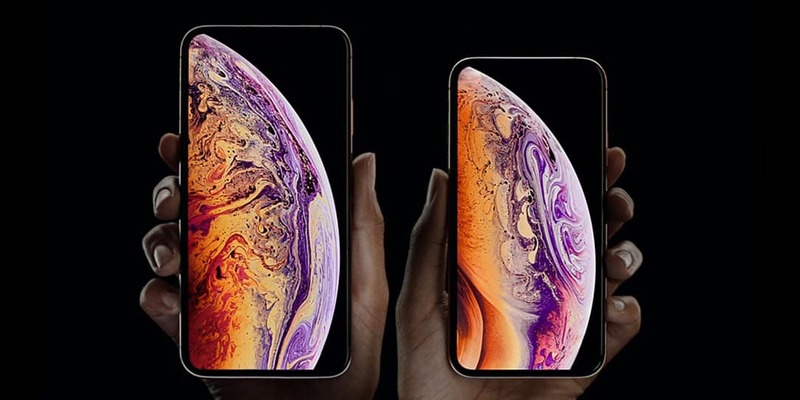 They claim the iPhone Xs gives you 30-minute more than iPhone X and the XS Max gives you 1.5 hours more than iPhone X. One huge thing the new iPhones have is dual-sim capability. The company calls their technology DSDS (dual-sim dual-standby). This tech can take calls on one SIM and uses e-SIM, carrier support is coming. Finally, Apple unveiled the iPhone XR. This is a cheaper version of the iPhone and is made from all aluminum and glass and comes in a variety of colors. This iPhone has an LCD display as opposed to the OLED in the more expensive iPhones. Apple calls it the Liquid Retina Display, 6.1″ 1729×828 resolution. Apple also put in a great chipset and GPU in this phone and upgraded the camera as well. This iPhone is supposed to give you an hour and a half more battery than the iPhone 8s. The new iPhones will be available to order September 14th and available in stores September 21st. Storage options will be 64GB, 256GB, and 512GB. 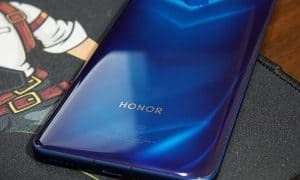 Pricing will start at $999USD for the XS and go up from there. 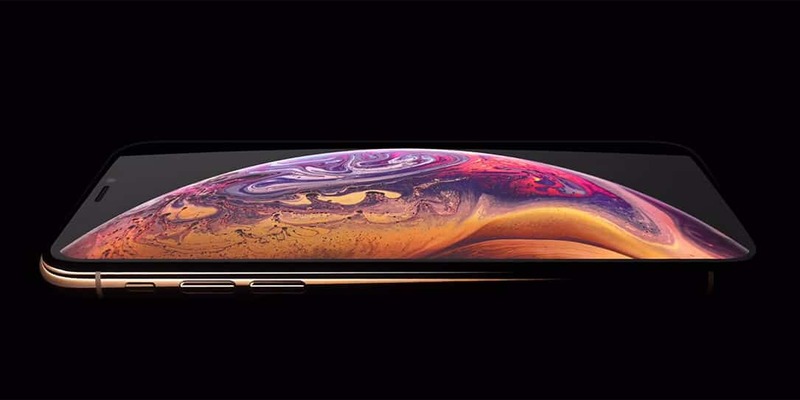 The iPhone XS Max starts at $1099USD. The iPhone XR will be available to order October 19th and available in stores October 26th. 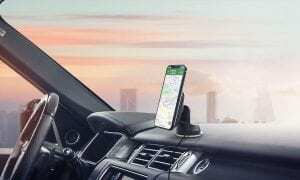 Pricing will start at $749USD and go up from there. What do you think of the new iPhones? Let us know in the comments below or on GooglePlus, Twitter, or Facebook.